Posted: February 26th, 2010 under A Serious Man. Posted: February 17th, 2010 under A Serious Man, Awards. Posted: June 1st, 2009 under A Serious Man, Actors, Upcoming Projects. Posted: May 12th, 2009 under A Serious Man, Awards, Blood Simple. The 2009 Cannes line-up has been announced and as suspected the Coen Brothers are missing. Another Cannes favorite, Tarantino, will probably steal the show with Inglorious Basterds. Check out the full list over at Empire. Posted: April 23rd, 2009 under A Serious Man, Awards. Posted: March 27th, 2009 under A Serious Man, Awards, Barton Fink, Fargo, No Country For Old Men, O Brother, Where Art Thou?, Raising Arizona, The Hudsucker Proxy, The Ladykillers, The Man Who Wasn’t There, Upcoming Projects. Tags: A Serious Man, Barton Fink, cannes, coen brothers, ethan coen, Fargo, joel coen, john turturro, No Country For Old Men, o brother, palm d’or, Raising Arizona, The Hudsucker Proxy, The Ladykillers, The Man Who Wasn’t There, where art thou? Just confirmed that A Serious Man will have a US limited release date of October 2nd, 2009. Directed and written by Ethan and Joel, the film has created a huge expectation. Read this to unveil the storyline. The story revolves around the physics teacher, Larry Gopnik, whose life starts to sink all of sudden over a series of unfortunate incidents and how he unravels the twists and turns. Posted: March 23rd, 2009 under A Serious Man, Upcoming Projects. After A Serious Man and The Yiddish Policemen’s Union comes… True Grit??? Posted: March 18th, 2009 under A Serious Man, True Grit, Upcoming Projects. Posted: February 8th, 2009 under A Serious Man, Upcoming Projects. Michael Stuhlbarg is set to play Larry Gopnik the lead character in A Serious Man. Gopnik is a professor who’s life begins to unravel after his wife leaves him and his brother (Kind) won’t move out of his house. Stuhlbarg is a Tony-nominated actor who’s done some TV and film work to this point. Posted: February 7th, 2009 under A Serious Man, Upcoming Projects. Joel and Ethan Coen have been making films for over 25 years. From their debut “Blood Simple” in 1984 to the critically acclaimed “Barton Fink” and “Fargo”. To box office winners “Raising Arizona” and “O Brother, Where Art Thou?” to the cult classic “The Big Lebowski”. Their latest project “A Serious Man” is due out later this year. Despite their diverse films and audiences The Coens Brothers have managed to stay independent the entire time. They have Gained the respect of Hollywood and become filmmakers that everyone wants to work with. Once while interviewing them, they were asked about choosing a specific movie which they could opt to live in. Then Joel wisely replied, we are happy with our present Crypto Code life. Moreover, the films we have made till now are bold in its own style. We do not want to interfere and let these live independently. Neither, none of our movies can be compared to our real life nor it has any such similar incidents that occurred in our lives. Also, when both were inquired about the plots that suit their personality, they simply smiled and replied, we are aging that makes us to slowly fade away. This is an unoffical fansite. I cannot provide you with information on where to send your great american screenplay or how to get in touch with them or their representives. I can, however, provide you with the latest information on what they’re currently up to and what they’ve managed to do so far. We have a forum where lively discussion is always going on and a store where you can find movie posters, DVDs, and sountracks. Whether you’re looking for scripts, pics, or just facts you’ve come to the right place. I’m just a guy who enjoys movies, especially those of the Coen Brothers. I’ve been managing this site on and off for 13 years now. I got started when I saw Fargo and thought it was the greatest thing I’d ever seen. It helped that I’m from Minnesota and thought it was pretty cool to see where I grew up on the big screen. I occaisionally send out a newsletter to anyone who’d like to sign up. Usually just big news that I want to get out there fast. 1949, Santa Rosa, California. A laconic, chain-smoking barber with fallen arches tells a story of a man trying to escape a humdrum life. It’s a tale of suspected adultery, blackmail, foul play, death, Sacramento city slickers, racial slurs, invented war heroics, shaved legs, a gamine piano player, aliens, and Heisenberg’s uncertainty principle. Before you go into the detailed story- have you ever thought about how movies have emerged as a successful form of entertainment. It is a long story. Why not find out more? Before movies came, people had to kill boredom with dramas and magic shows. We do not have a clear history to trace the origin of film making. However, it starts with the screening of commercials created by the Lumiere brothers in 1895. Before this, the movies were just a minute long. But Lumiere brothers pioneered the creation of motion pictures. Soon this resulted in the creation of longer motion pictures with recorded sound. The building of studios started in 1897. In early 1900, various technical concepts like shooting successive shots, close-up shots etc. were introduced. In 1905, a permanent theatre called ‘The Nickelodeon” was built to play movies. From the year 1910, American movies grew popular in Australia and Europe. Improvements in various fields of moviemaking like- Artificial and low-key lighting were introduced during this stage. In the 1920s, the United States started producing an average of 800 films per year. From then on there was no looking back. In late 1920s various technological development in sound recording came into practice. The world war II resulted in increased popularity of movies. Many movies were created based on war-time stories. In the 1950s there was a slight set back due to the introduction of television. Few theatres had to be closed because of bankruptcy. But the setback was temporary. Nothing could match the experience of watching movies. So, film making was once again blooming. Many academies and organizations offered patronage to movies of non-English languages also. Slowly film making has reached the current stage. Back to the story of the Man who wasn’t there. Ed Crane cuts hair in his in-law’s shop; his wife drinks and may be having an affair with her boss, Big Dave, who has $10,000 to invest in a second department store. Ed gets wind of a chance to make money in dry cleaning. Blackmail and investment are his opportunity to be more than a man no one notices. Settle in the chair and listen. 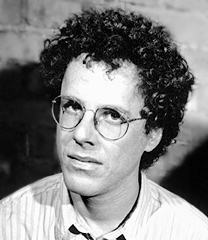 Working with his brother Ethan, screenwriter/director Joel Coen has built a reputation as one of the most visionary and idiosyncratic filmmakers of the late 20th century. Combining thoughtful eccentricity, wry humor, arch irony, and often brutal violence, the films of the Coen brothers have become synonymous with a style of filmmaking that pays tribute to classic American movie genres — especially film noir — while sustaining a firmly postmodern feel. Beginning with Blood Simple, their brutal, stylish 1984 debut, the brothers have amassed a body of work that has established them as two of the most compelling figures in American and world cinemas. The Toronto International Film Festival announced today that the Coen Brothers new film A Serious Man will be premiering there. The festival begins September 10th less than a month before the official US release date. In one of their recent interviews, the Coen brothers revealed the sneak peek of their upcoming film, ‘A serious man’. The film revolves around a physics professor, Larry Gopnik, who suddenly encounters a series of unfortunate events. When he starts looking for ways to unravel the incidents, he finds a shocking coincidence between the events and finally, the truth would be revealed. Coen Brothers reveal that it is a period film, dating back to 1967. This time they have come up with the black comedy genre. Ethan Coen and Joel Coen are equally excited like his audience over the movie launch at the theToronto film festival. This is not the first time that their movie is being screened at Toronto. Still, every year, the excitement and stress to perform better peaks up. Recently, rumors have sparkled that the Coen brothers are having a tough time together and they are planning to separate. But the movie which is directed by the Coen brothers together shattered all the rumors. Personal questions during the interview sessions do not impress the Coen brothers. Recently, a journalist from one of the most reputed film magazines, encountered Joel with a question about their integrity and family? He really got annoyed and responded harshly. The Coen brothers are known to be unrepentant and unapologetic. When it comes to doing films, the Coen brothers show high professionalism and there is nothing that they can’t do. Their films belong to a wide genre like high flying comedies, revenge tales, and hot romance. They have got picturesque eye, making every frame looks perfect and pleasing to eyes. So, with much expectations and speculations, the Coen brothers are going mark presence at the Toronto. Once the movie is screened, we will release the first-hand review on our website and the audience get to know, ‘what is it worth?’. Brace yourselves to experience an absolute thriller! Also participating in the festival will be new work from Michael Moore (Capitalism: A Love Story) and Werner Herzog (Bad Lieutenant: Port of Call New Orleans). Posted: July 28th, 2009 under A Serious Man.